It is one of my missions in life for you as a business owner to have a better website, or a website at all. And if you’re going to have one at all, have the right type. Right now if you Google something like “cheap website”, you’ll come up with all sorts of results. If you watch TV for long enough and this just kills me, you’ll see adverts for Go Daddy or possibly one-on-one websites. You go along and they’ve got all the tools and templates, you put it together, it’s really easy. But what you don’t realize is this thing is useless, it’s a waste of time. Same as when you go and pay a web company to do this and they also create a waste of time website that’s just the brochure online. 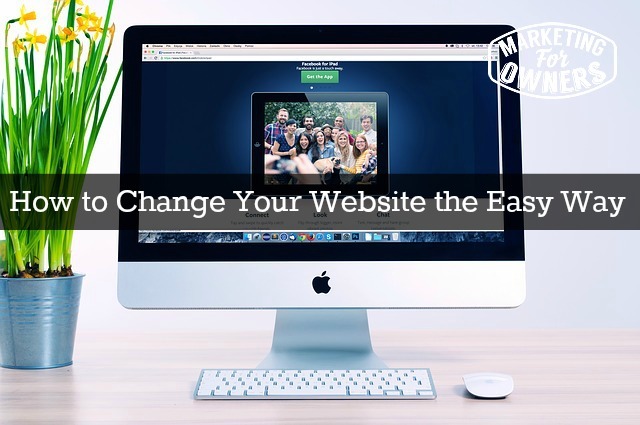 It’s not going to work, the one-on-one websites or the Go Daddy websites that are cheap are just to get you a website, and they don’t know what you need to be doing. In fact Go Daddy knows what you’re going to be doing, need to be doing, but they’re not going to tell you it’s too complicated and they’re not going to sell them. You might think why would they sell them? Why does so many people buy them? Because nobody knows this stuff, why would you? If you knew you would need to be listening to this, you’d be making loads of money. So, what’s it all about? So, with a website very simply, unless you are a government department and we’re not really marketing to them or talking to them, your website has two purposes. It’s going to either a) Sell something or b) Capture the lead so that you can sell something to that person at a later date when they are ready. Beyond that, nothing, no other reason. Why would you pay to have something that does nothing else? Now, you’re thinking to yourself, it has got a form, it does capture people, if people want to do it. It has the phone number on it, they can look up the contact page, they can phone you up, or they can fill in the form and you will ring them right back. No, that’s not how it works. They are looking this up at midnight, you’re not there. You think, “We’ve got voicemail or an answer phone”, they want it now, they want their information now because they are only available at midnight because they run restaurant. You are not available to ring them back at a convenient time; they’re going to be asleep in the morning. You see people want it at their convenience, not at your convenience. You offer something and they decide that’s what they want and in exchange give you an e-mail and so on. So, you need to get your website looking like that, or able to do that, and it’s not that hard. So if you’ve got a website, use Google and search for things like “extract my website data”. Then, go to fiverr.com, find a data entry, look up “data entry” and you find people who do two or three hours of data entry or research for $5. Contact them and ask, give them your website and say “Find every single page on this website”, hopefully they should know how to do that, “And extract the text and image from it and put each one in an individual word file”, or something like that. That’s it, that’s all you need to do, and find someone who will extract it. Then find someone who will put a right WordPress website, that is self- hosted together for you. If you go to marketingforowners.com/tools , you’ll find our recommendations as to how to get this done very easy, and very inexpensively. That is how we do it, so when you think, “Oh yeah, I don’t want cheap and nasty”, it’s how we do it, so you don’t end up paying much money but you get one that works. Now once you can get that website design up, you simply ask the WordPress person to input your pages and pictures from your last website, so you end up with the same information on a new website that you can then add forms. The plug-in that we recommend is a thing called SumoMe, and it’s free; there is a paid version but you only need the free version. It’s free and they will explain to you how to capture e-mails. We then recommend that you go to the mailchimp or aweber, you find the details, in fact, there may be a coupon code. Now this isn’t something that I’m going to be able to fully cover as well as you would like. I’m just a quick 10 minutes podcast. If you’d like to know more, obviously, I have something coming, so go to our website and sign up. There is a 101 courses coming where you can actually do it yourself with step-by-step and then you don’t have to pay anyone. And then you will know how to do it over and over and over, including how to set up sumome and everything like that. But if you go to fiverr or upwork or freelancer.com, you will find people, you don’t have to commit, just search, find people who can create a Word Press website, that can make it look the same as your old one if you want. This time you can add forms and you can add new content, you can add pictures, it really is that simple. If you’re not quite sure, and you want some more direction, e-mail me at jon@marketingforowners.com and I have no problem telling you or giving you more details on how to do this. It really is simple, trust me we teach people how to do it, it’s dead easy. Now today it is Tuesday, so it is time for a tool box tip and this one is good, especially if you are spending a lot of time doing things. 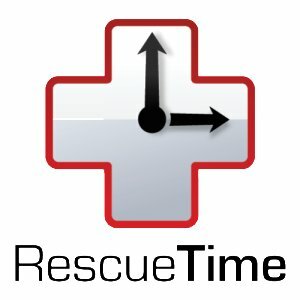 It’s called Rescue Time. It’s a freebie and I use it all the time. What it does is it monitors over the week or over a month or over time, the things that you do online, on your computer and it will advise you when you’re wasting time or where you can save time, or where you are using too much time, but it’s just great. It’s simple, just sign up and register and it monitors, you don’t have to do anything more than that. See what it does for you, it’s brilliant; I use it all the time. You will love it. What do you need to do to revamp your website?